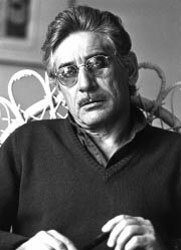 Photo of Gilles Carle © Lois Siegel. Used with permission. Gilles Carle was born in Maniwaki, Québec and grew up in Abitibi. In 1940 he moved to Montreal to study drawing at the École des Beaux-Arts, McGill University and the Université de Montréal and worked as a graphic artist from 1955 to 1960 at Radio-Canada before joining the National Film Board as a researcher in 1960. He quickly became interested in directing and worked on a number of shorts. 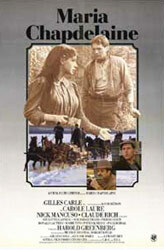 His first feature, La vie heureuse de Leopold Z reached a wide audience in Quebec. His passion for cinema spawned a decades-long career that produced 30 works, running the gamut from fiction to documentary and television specials. The themes of his films oftcn touched on sexuality and the trials of everyday people. Learn more about Gilles Carles.